Thanksgiving is approaching, and Americans are ready to indulge in the three ‘f’s’: family, food and football. 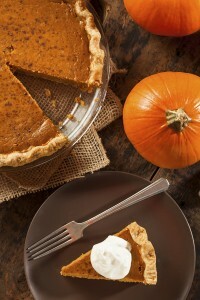 As a market research facility, we cannot help but do a little research on Thanksgiving in anticipation of the big day. Seeing family often requires transit, and Thanksgiving is one of the most heavily traveled times of the year. Over 24 million people will travel by plane during the Thanksgiving season. Airports in major cities see an immense increase in activity. Not too surprisingly, the five busiest airports during the period are Chicago, Los Angeles, Boston, New York City, and San Francisco. The most popular mode of Thanksgiving transportation is driving, as 91% of Turkey Day trips are made by car. The majority of people (56%) will drive over 100 miles! The turkey tradition is alive and thriving, as 51 million turkeys are consumed on Thanksgiving Day, and nearly 88% of Americans eat the beloved bird for the holiday. Luckily, the Thursday feast is not breaking the budget, as the cost of the average Thanksgiving dinner for 10 people is $49.20 – under $5 dollars per person. Cowboys, Lions, and Bears, oh my! Did you know that the NFL has held games on Thanksgiving Day since 1920? The Detroit Lions have played the most, competing on every Thanksgiving since 1934. This year they will face the Bears (the first Lions Thanksgiving opponent in 1934), for the sixteenth time on turkey Thursday. The Dallas Cowboys have partaken in the second most games on the big day, playing almost every year since 1966. This year they host the Eagles in a battle of teams both sporting 8-3 records. Because six straight hours of football may not be enough, the NFL added an annual night game to the docket in 2006. This year the Seahawks take on the 49ers in a re-match of last year’s NFC Championship. This entry was posted on Wednesday, November 26th, 2014 at 7:49 pm. Both comments and pings are currently closed.